If you were looking to hire a staff role or recruit a key volunteer at the church how would you know if they were the right fit? Is it discernment in prayer? Is it by their experience in ministry? Their skill set and personality? The confidence of a search committee or elder team? A spiritual gifts inventory and enneagram assessment? A feeling in your gut? A combination of the above? As I look back on my ministry experience, I realize that sometimes I hired or recruited the right person. They were a wonderful fit and they (and everyone around them) thrived. But I also remember that there are many other times where I made the wrong decision and completely blew it. The leader I thought would be a good fit turned out to be a disaster – and I should have seen it coming. So, how do we go about in the discernment process? I’ve found a simple and easy to remember guide of 6 characteristics (all starting with C) – along with a guiding question for each – helps the process. Several of the C’s come from other spaces (some even the business world) but I do believe they can be helpful in the church as well. Character: This character always needs to be first on the list. The leader must be full of integrity and honesty and possess purity in all areas of life. We talk about the need to surround ourselves with F.A.T. leaders – those who are faithful, available and teachable. Great leaders may possess the other 5 C’s below, but if they are not full of integrity and character, don’t consider having them join the team! Question: Could I completely trust my children with this person? (2) Competency: Certainly, God can use anyone with any skill set. This is not suggesting a corporate headhunter mentality in the church. People’s value as a child of God is not measured in their productivity or effectiveness. This is simply to make sure that they are the right fit – that their capability and proficiency matches the responsibilities of the job. I’ve seen too many wonderful people hired or put into key roles where they are just not capable of fulfilling the tasks that have been asked of them. Question: Is this person capable of doing what we are asking them to do in this particular role (i.e. is this the right fit, based on their proficiency and skill set)? (3) Chemistry: So much of ministry is relationships. Chemistry with those you serve alongside of is important. It doesn’t mean we have to be best friends with everyone we work with. But it is important for us to consider chemistry, both on a personal and an organizational perspective. On a personal side, is there relational and emotional intelligence and spiritual maturity exhibited in their life? Are they kind and caring, do they work hard and yet have a good sense of humor? Do I enjoy working and serving alongside this person and can we be both honest and honoring to one another in these roles? On an organizational side, is this person passionate about the mission of what we are doing here in our church – or are they simply looking to serve with friends or looking for any opportunity to lead? Question: Is this person someone that could sharpen me and I could sharpen him or her, while also bringing out the best in him or her? And, is there a passion for and a clear alignment with the mission of our church? (4) Consistency: Trust is built through consistency. A leader must be responsible with big things (finances, people’s stories, relationships, etc) as well as small things (follow-through, showing up on time and when they say they will do something). Therefore, a leader must be full of trustworthiness and dependability. Question: Have they exhibited consistency in all areas of their life and show themselves to be responsible? Can I trust them to do what they say they are going to do? (5) Capacity: This C is related to Competency, but slightly different. This is not entirely about skill level; this also involves how much confidence people will be and how much trust they will put in the leader they are choosing to follow. Is there capacity growing or is there an evident ceiling? Those with high capacity have a tenacity to get their hands dirty and “figure it out.” They don’t give up easily. They trust, they persevere, they don’t give up and they push through when things are difficult – and others seem to notice. Question: how confident will people be in following this person’s leadership, especially into new and uncertain areas? (6) Calling: This is another significant C. In the secular world, you may be able to possess the first 5 C’s and be good at your job. But in the kingdom, we believe that the Spirit calls us into specific callings of vocation, especially in ministry. Calling is much more sacred and significant than a job or a fun ministry leadership role. Leaders with calling know that God have a confidence that God has brought things together in such a way that they can’t not respond to what He is asking of us. Question: is this a simply a “good idea” or a true sense of being called to this position? Certainly, discernment is important. These are not intended to be a formula or an equation; they are intended to be a form use with intention. Understand your context, your people and God’s specific call on your life as you use this tool. But next time you are recruiting or hiring for a key ministry position, utilize the tool of the 6 C’s and see if it is a helpful part of the discernment process. J.R. Briggs has three passions: to equip and invest in hungry kingdom leaders, to grow fruit on other people’s trees and to collaborate with others to create good kingdom mischief. In short, his calling is to help leaders who want to get better. 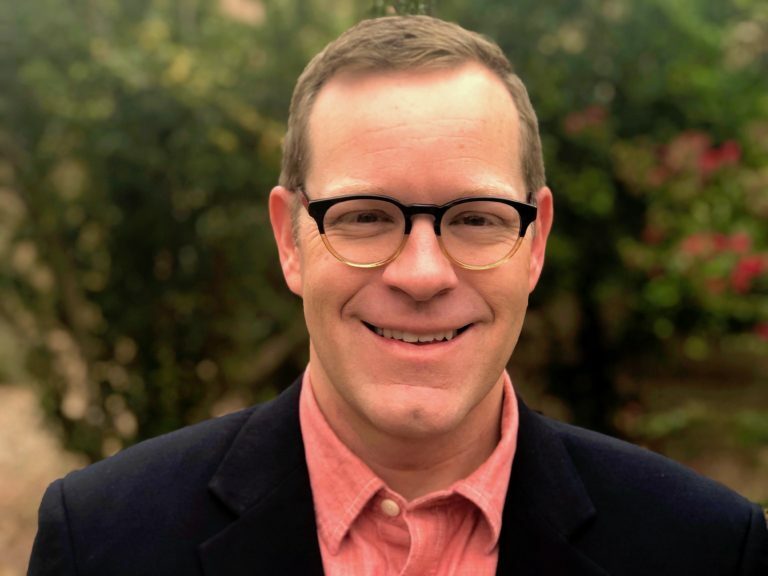 He serves as the Director of Leadership & Congregational Formation for The Ecclesia Network and serves as the Mid-Atlantic Coordinator and National Trainer for Fresh Expressions U.S.